Though Exzavier Whitley "Don't Say Much," we heard a lot. Exzavier Whitley is Compton born and Denver raised. And although he’s had notable success in the past few years as an MTV and AXS featured artist, there was a time when Whitley would have been too afraid to show you any of his work. 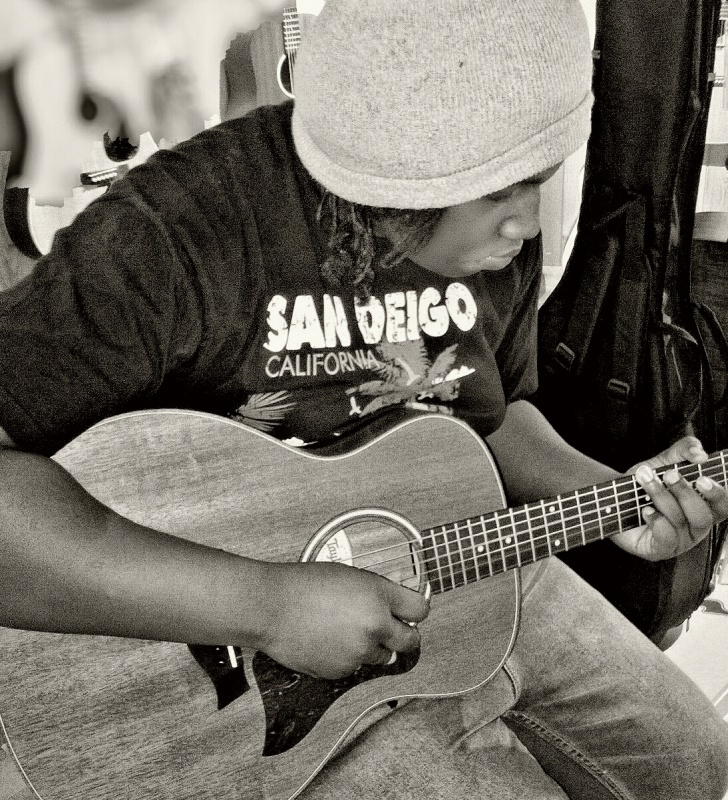 In fact, Exzavier entered the creative world first through poetry, which he later turned into songwriting after teaching himself guitar. He drew from personal experiences and a “childhood of grief” to create his contemporary folk songs, some of which he has yet to release because “they still feel too personal”. But after connecting with Michael Paige (bassist of Crown of Thorns), Exzavier started to realize that he was meant to share his music with the world. Since then, Whitley’s released a 10-track album, Backroads (2014) and a four song EP Gone West (2014). He has plans for an April 2016 release of another full length album, Oppressed. Whitley’s deep, crisp vocals have a melancholy, but reaching power to them. His songs are of the easy-listening variety, so lend them an ear to keep you sunny on this cloudy day.